39 West Press, 9781946358134, 104pp. 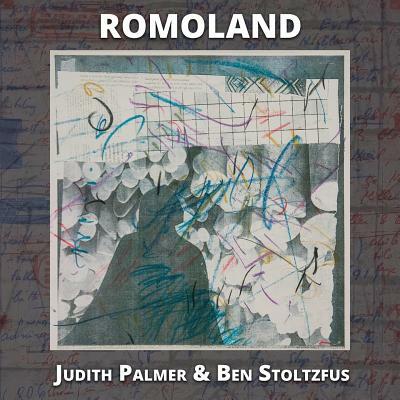 ROMOLAND, a postmodern event conjoining feminist artist Judith Palmer and novelist Ben Stoltzfus, uses twenty-five art works as generative surfaces for a series of dialogues between a man and a woman. The images and the text explore the historical subjection of women by men, their deliverance through art, and the dismantling of cultural codes. Both texts foreground the voice of the Other as it manifests itself in the traces, lines, and cracks of speech--be they visual or verbal. The arabesques of the woman's sensibilities oppose the squares of man's authority. Her art speaks and his text sees. Together, they unveil another space between the pictures and the text--the body of bliss and equality--in a way that is ironic, comic, and playful. JUDITH PALMER is a printmaker whose work is in the tradition of Jasper Johns, Cy Twombly, and Richard Diebenkorn. She explores the language of art and the process by which art’s sign-system communicates its message-line, texture, color and image. Palmer collects “found language”-numerals, words, sentences-from streets, walls, or waste paper and transfers their photo images onto zinc plates. She combines these elements with traditional, more rigid patterns and techniques of etching. The result is a dialectic, a movement back and forth between spontaneously flowing arabesques that represent energy, aggression and rebellion, and the rigid, straight lines of confinement and restriction. This combined language of spontaneity and restraint generates movement and tension between the different parts. Form becomes content. BEN STOLTZFUS is a novelist, translator and literary critic. He has received many grants and awards: Fulbright, Camargo, Humanities, Creative Arts, and in 1997, the Gradiva Award from NAAP for Lacan and Literature: Purloined Pretexts. He translated Alain Robbe-Grillet’s pictonovel, La Belle Captive, in collaboration with René Magritte, and The Target, a short fiction, in collaboration with Jasper Johns. Stoltzfus’ latest novel, Cat O’Nine Tails, was published in 2012. His study of Hemingway and French Writers appeared in 2010, and Magritte and Literature: Elective Affinities in 2013. He lives with his artist wife, Judith Palmer, in Riverside, California.